Since school for me starts in two days, I'm enjoying what feels like my last few days of summer in my most summer-y clothes and accessories, and my outfit today was just that. 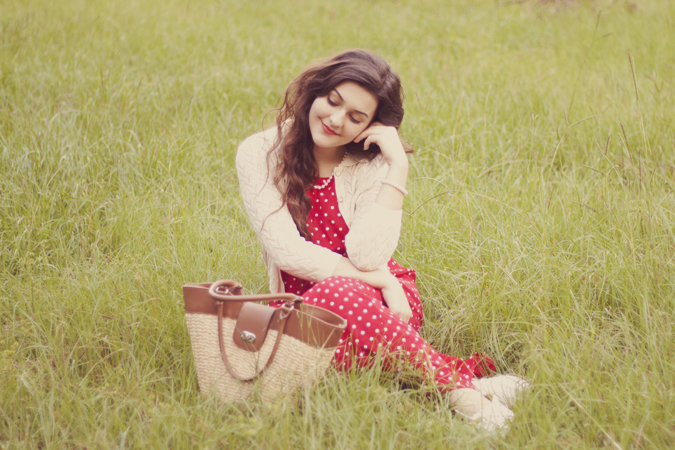 A perfect pairing of my most summery things, like my red polka dot maxi, white cut-out oxfords, and my darling little straw bag. I'll miss days like day where I do nothing but walk around and plan the day as I go, but I'm in a way just ready to start this year of school and start moving towards the fall and winter months! You're so cute, I love your outfits! It's so cool that your dress and bag are thrifted items! What a beautiful outfit & beautiful photos! I know what you mean... I've been savouring these last few weeks of summer, almost ready for fall... but not quite yet! Love the outfit. You always seem to find the best things at thrift shops I'm jealous! pretty lady! good luck with going back to school! 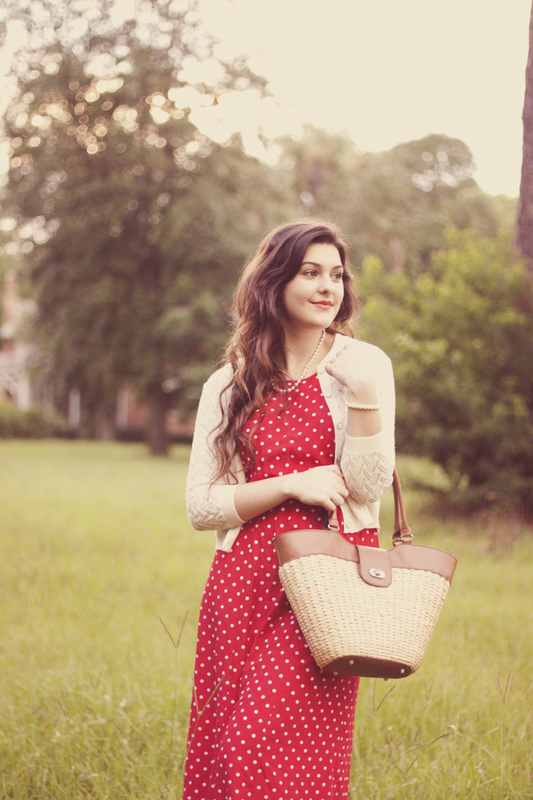 I love the way your dotted dress looks with the print on your cardigan. Subtle and cute print mixing! You looks so sweet and cute! I love it. 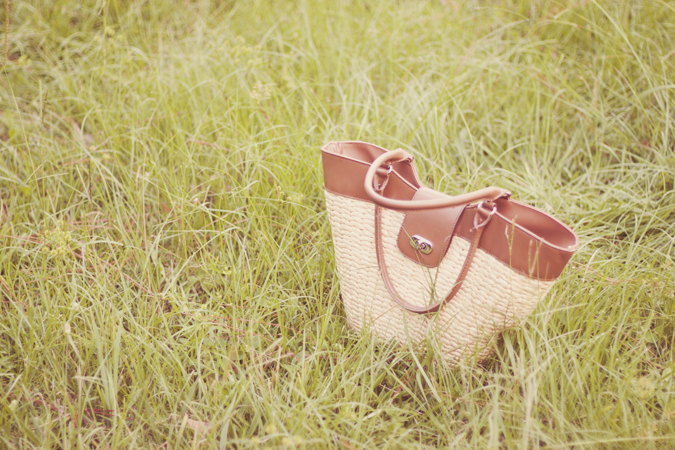 That bag you've been carrying lately is FABULOUS! Pearls are my favorite- they instantly make me feel more elegant. 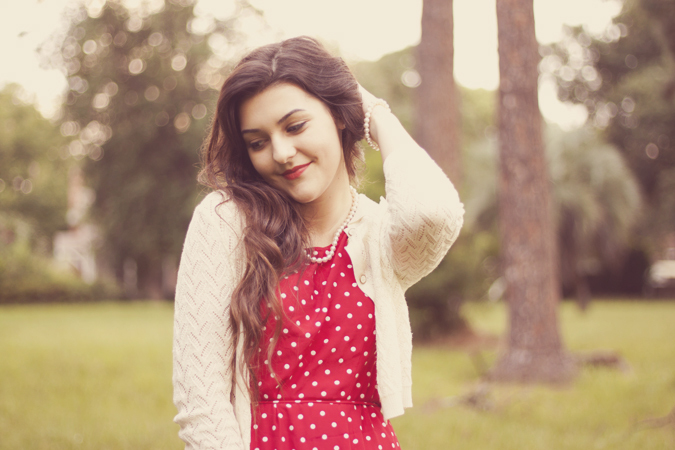 And this polkadot dress is so darling on you!